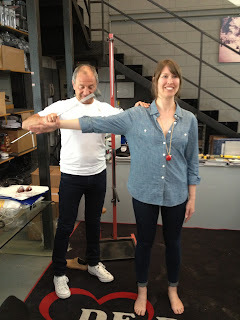 It is special when you can go to Italy and be measured and advised for a frameset. 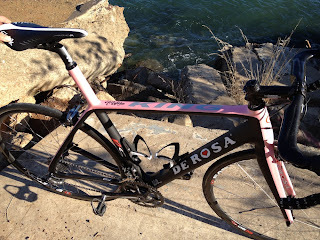 This story is courtesy of Marcello whose blog, BIKEADELIC, is dedicated to all things De Rosa. My wife Amber I visited Italy to celebrate our honeymoon, vacation and follow our favorite tour; 'il Giro d'Italia' of 2012 for stages 20 and 21. For stage 20 of Stelvio, we stayed with www.bbmovimento.com, Anna is the best and a true cycling fanatic who accompanied us up 'il Mortirolo' to cheer the riders. 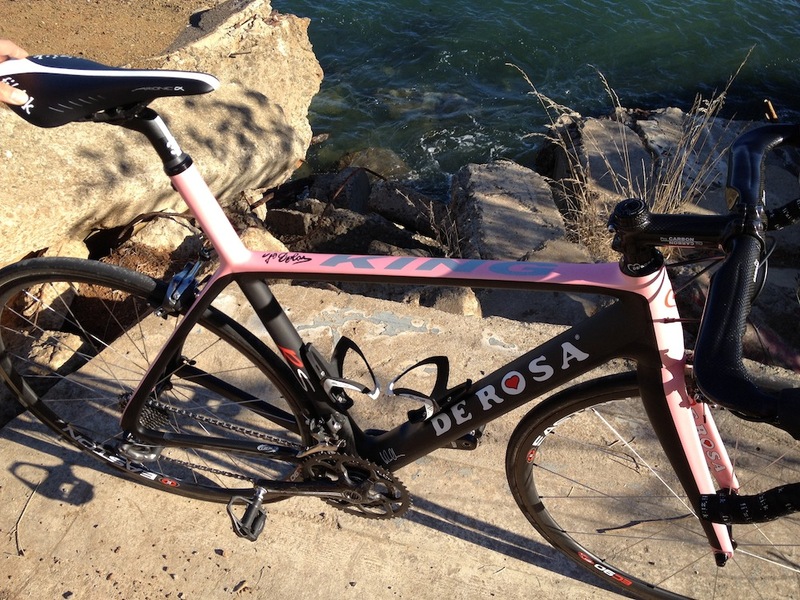 We took this opportunity to visit the 'heart of cycling' De Rosa factory. We contacted Cristiano in advance and he welcomed us with a display of all models. 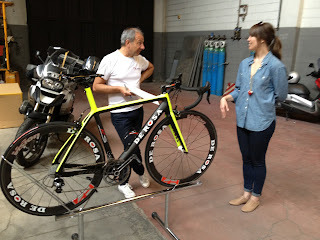 As we walked into the factory we saw Sr. Ugo De Rosa overlooking new Protos frames being built-up. It was a dream and an honor for us to speak and meet everyone and the climax to our Italian adventure. Amber requested Cristiano and Ugo to sign the frame, and pink to honor 'il Giro' which they kindly provided. Our deep gratitude love to Cristiano and Ugo De Rosa for all of their attention. There are more than 2,600 stories in this blog. The search feature to the right works best for finding subjects in the blog. There is also a translate button at the bottom so you can translate each page. The UCI has announced that the Professional Cycling Council (PCC) has accepted the request filed by RCS to modify the dates of the Milano-Sanremo and Il Lombardia events in 2013. The two races will both take place on a Sunday, the dates are as follows: March 17th for Milano-Sanremo and October 6th for Il Lombardia (with the presentation of the Giro d’Italia which will be organized on the following day, Monday October 7th). 1) Improving the safety of the race: Sunday is a day on Italian roads with less traffic compared to Saturday. This would cause less disruption to both the running of the event and the residents. 2) Increased visibility of global television: Sunday is a day of sport. We believe that in a world view, Milan - Sanremo and Il Lombardia, which are international competitions, may be more fully appreciated and followed on television around the world. Some are worried that we would be competing with other sporting events, we believe in the power of cycling and prestige of our racing monument. 3) We would like to propose for 2014 amateur races related to the two races. The idea is to organize the races in the area of the finish line cities. We believe that Sunday could be the perfect day for this project. Regarding these changes Fabian Cancellara has already expressed his concern via twitter that for next year there are too many days (four) of non-competition between the end of Tirreno - Adriatico and Milan - Sanremo. Vegni Mauro (RCS) and his team are working hard to find an appropriate solution to be able to have the race finish on Thursday or Friday. 1) these are fake Pinarello's being made somewhere in Asia (and yes, real Pinarello frames are made somewhere in Asia as well). 2) these are probably real Masi bikes being made somewhere in Asia. That is unless someone has decided to make fake Masi frames. Of course, today's Masi has nothing to do with the old Masi as the Masi name was sold long ago...back in 1972, you can read more here about that. Of the Italian brands Pinarello seems to have the biggest problem with counterfeit framesets being made. However, now there are fakes of Bianchi and Colnago coming into the stream. It doesn't stop with framesets. 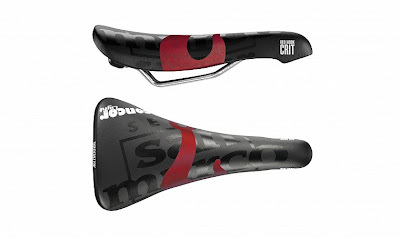 Fakes of carbon parts of all kinds are also being manufactured. Buy only from authorized dealers to ensure you are not buying a fake. Reminder: the submission period for the branding contest ends November 30th. RCS Sport, born under the aegis of Italy's sports newspaper “La Gazzetta dello Sport”, wants you to develop the new identity of this historical bicycle race. Details in previous post here. Because of marketing reasons you’re kindly asked not to use neither the word “giro” nor ”tour”. This because RCS Sports doesn’t want the sport event to be confused with other important races, especially the “Giro d’Italia” that is often referred to as “Giro”. Please don’t forget to review your proposal in light of this important detail. Use your Instagram application to shot your special Campagnolo products or equipped bike, tag the image with #campagnolo and insta.campagnolo.com will automatically catch and post it. The latest pics will be shown on top of the page. The platform is designed to give all the campy fans the opportunity to share with the community the coolness of their Campagnolo products. Thousands of amazing images are already on-line. Browse and share them on your Facebook profile, via Twitter or Google+. Moreover, every day a pic will be selected and posted on Campagnolo Facebook fan page. Come on, shot your #campagnolo coolness and share it with the world. 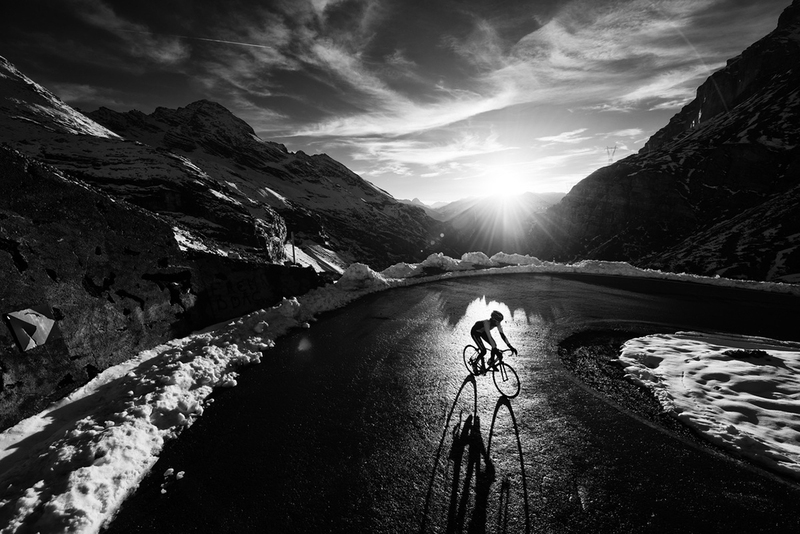 Amazing photos by photojournalist Jered Gruber. See the rest of the photos and his story "Early Winter on the Passo dello Stelvio" at www.cyclingtips.com.au. 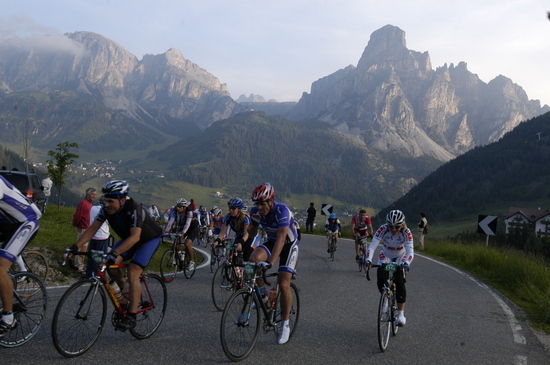 The random draw for the 27th edition of the 2013 Maratona has taken place. This is the participant list after the draw results. Participants selected must pay 87 euro between December 3, 2012 until April 17, 2013, according to instructions that will be emailed on December 3rd. Those who were not selected will stay have a chance to enter via the "charity registration" route. * 5 CRYSTAL registrations at a price of 1.500,00 euro. A further 190 entries (175 GOLD entries and 15 PLATINUM entries) will be sold online on www.maratona.it on March 27th 2013. Another way of entering, that offers guaranteed entry, is to book a holiday package through the official tour operator Holomites. Unfortunately, these are now already sold out but you can try registering and hope to get a slot via a cancellation. Check www.holimites.com. Mauro Vegni, part of the Giro d'Italia organization, writes about the design of the 2013 Giro d'Italia. 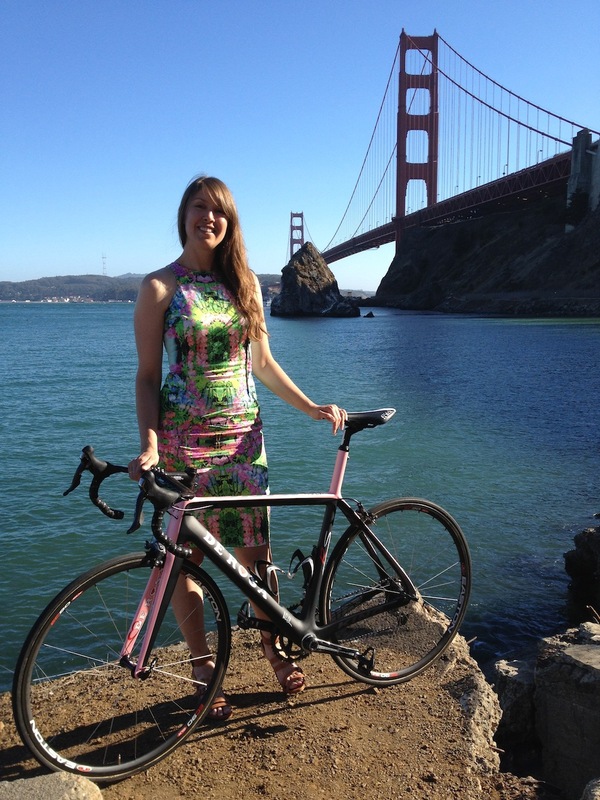 "A lot of people have said the route of the 2013 Giro d'Italia has been designed to favor a time trialist. As ever, it all depends on how you look at the route. 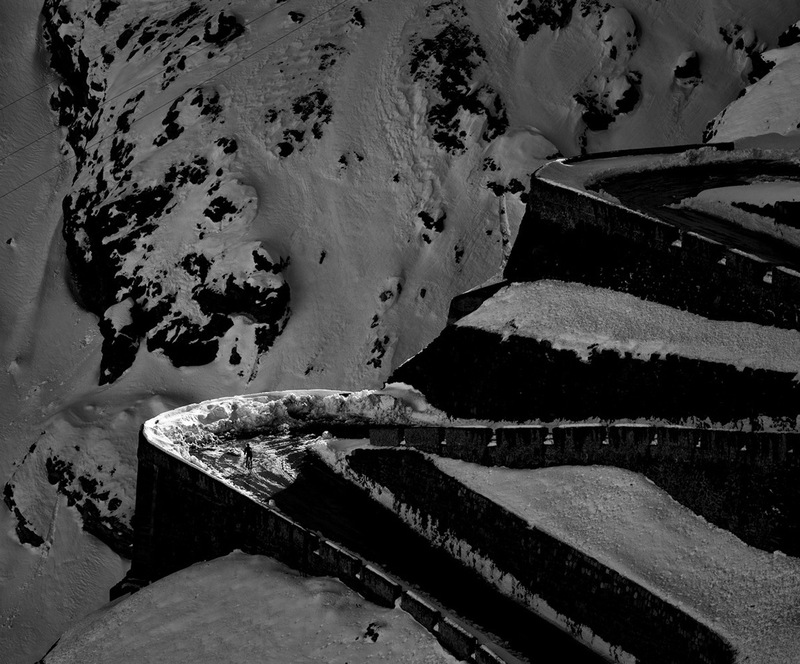 In the last few years, the Giro routes have better suited the climbers. In 2013 the route is more finely balanced, meaning that the time trialists who can handle the big mountains climbs also have a chance of success. I designed the route with my team and this is what I think. Of the 21 stages, only a part of them will actually impact on the battle for overall victory in terms of seconds gained or lost. It's fair to presume that the seven stages for sprinters will not change the overall classification and neither will the five stages for finisseurs (a finisseur is a rider who has both the speed and power to attack the peloton in the final kilometer of a stage and stay away on his own), unless there are some surprise attacks. There are then three time trials and the mountain stages. These are the stages that will dramatically change the overall standings. When analyzing the 2013 Giro d'Italia route, it's important to consider the order of the stages to understand how the overall classification could change during the race. Not having a final time trial will create a different kind of race. There will probably only be small time differences after the team time trial on Ischia and the first mountain finish to Serra San Bruno is not a tough climb, meaning that only one or two overall contenders will probably lose time. However, things will change dramatically in the individual time trial from Gabicce Mare to Saltara. It's not a normal time trial. The first 20km includes lots of climbing, descending and corners and only the middle 25km suits the pure time triallist but that's where they can perhaps earn 2-3 seconds per kilometer on the climbers. There's also a trap at the end of the stage that could catch out both the climbers and time trialists. The final four kilometers climb up to the finish, with a section at 13-14%. If someone misjudges his ride, he could lose a lot of time. After the stage, the time trialists should be in control of the Giro but the final ten days are in favor of the climbers. There are five mountain stages for them to blow open the race. The finishes to Montasio and Bardonecchia are perfect for late attacks and a climber could gain 40-50 seconds. The Galibier will be tough too, if a team rides hard all day. Then the short stage (138km) to Val Martello starts with the Gavia, goes over the Stelvio and even the climb to the finish will hurt. 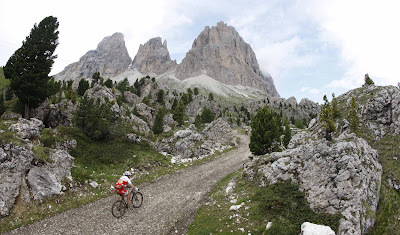 The last mountain stage to Tre Cime di Lavaredo has a final 100km that will leave the riders breathless and should cause significant time gaps. There is also the Polsa mountain time trial. It doesn't favor the pure climbers and so will help the time trialists pull back a few seconds. No final time trial means the 2013 Giro will be won and lost in the mountains. Often in the past, the climbers have fought for victory in the final time trial. This year, with no final time trial, the climbers will know exactly how much time they will have to pull back on the time trial specialists. 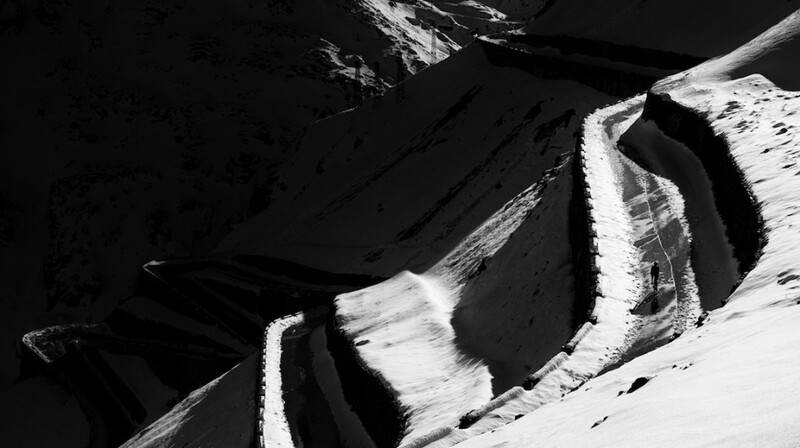 They will have to attack and they will have lots of different types of climbs to attack on. If a time trial specialist manages to limit his losses, he'll deserve to win the maglia rosa. It won’t be easy for either kind of rider, hopefully producing an aggressive and spectacular race. The 2013 Giro d'Italia will also see the return of time bonuses to further inspire aggressive racing. In 2012 time bonuses were not awarded on the mountain stages in the hope of seeing more long-range attacks. However we saw that this did not really work. We've decided that time bonuses of 20, 12 and 8 seconds will be awarded at stage finishes as in 2011. We think these extra seconds will help the climbers and create more aggressive stage finishes. It is still possible for a time trial expert to gain more than three minutes on a pure climber in a long time trial, while the climbers struggle to gain more than 30-40 seconds on a typical mountain finish. The return of the time bonuses won't decide the race but will help balance it out. A rider could gain 60 seconds by winning three mountain stages but that won't be enough to win the Giro if he has lost three minutes in a time trial. There will also be two intermediate time bonuses per stage with 5-3-2 seconds on offer to the first three riders, as well as points for the red jersey competition. There are ten seconds on offer per stage but we have calculated that it will be difficult for riders to gain more than 40-50 seconds on their rivals. The sprinters will win some of the intermediate time bonuses but others will be carefully placed along the stages to inspire surprise attacks by the overall contenders. We decided to reintroduce the time bonuses after listening to the fans. When we launched our questionnaire immediately after this year's Giro, 70% of the fans who answered said they wanted to see time bonuses play a part in deciding the overall winner of the Giro again. They want to see aggressive racing and time bonuses inspire riders to go after precious seconds on every stage. We've listened to the fans yet again." 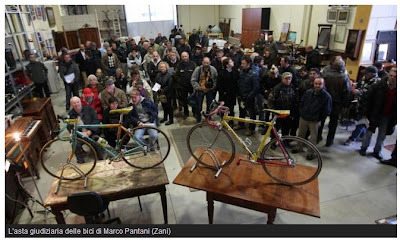 One hundred Pantani fans attended an auction in Ravenna on November 17th for the sale of two bikes that belonged to Marco Pantani. The Bianchi (serial number H 314-74) was used by Pantani in the famous July 27 Grenoble—Le Duex Alpes stage of the Tour de France which allowed Pantani to wear the yellow and go on to win that year's Tour. The bike sold for 13,000 (thirteen thousand) euro. The second bike, a Wilier Triestina (serial number 962475), was used by Pantani in the 1997 Tour de France and which he used to win the July 19 Saint Etienne-l’Alpe d’Huez stage.This bike sold for 8,000 (eight thousand) euro. The two bikes were sold due to the bankruptcy of the company that owns the Nautilus restaurant of Cervia. The bikes were given by Marco Pantani to the owner Franco Corsini. Pantani often went to eat there and was friends with Corsini. "It was 2003 and I was hunting with Pantani and another friend in Predappio," explained Corsini. "At the end of the hunt, before returning home, Marco took me aside and told me go and look in the trunk of my car, that there was something for me. It was his legendary Bianchi." Pantani's parents have disputed that this is the Bianchi that Pantani used but the Italian collectors believe that there is no doubt that the Bianchi bike just auctioned is the actual bike. Registration is open for the 2013 Südtirol Sellaronda HERO mountain bike race until the maximum number of competitors of 3,013 is reached, one thousand more than 2012.The race event will take place on Saturday, June 22, 2013 and will be a series race in the ’UCI Marathon World Series, the mountain bike marathon World Cup. "The increase in numbers has required a significant organizational effort but we felt bound to respond and to cater for more competitors, especially after having hundreds of requests still coming in after the closure of registrations for last year’s race, the maximum number having been reached well in advance," so explains Gerhard Vanz. "And, the increase will require some organizational changes at the start of the race and also at certain points along the route, so as to allow for a higher number of competitors to proceed without hold-ups". "We have carried out some small changes to the routes, principally in preparation for the World Cup marathon which the HERO will play host to in 2015," informs race director Peter Runggaldier. "In substance the routes remain the same as in previous years, the ‘longer’ route being 84 km with a total altitude difference of 4,300 meters, whilst the ‘shorter’ has been adjusted to comply with the requirements of the UCI for the marathon distance and will be 62 km with a total altitude difference of 3,300 meters". The race is beuing held one week later than usual, on Saturday 22nd June, so as to fit in with the international mountain bike calendar. The Südtirol Sellaronda HERO is becoming part of the UCI family, and the race will be the 8th in the UCI Marathon World Series circuit for next year. The 84 km race will be valid as Marathon World Series men and women, whilst in the 2015 event the 84 km route will be valid for the men's classification whilst the 62 km route will be valid for the women's. As in previous year the race will be open to all: those being members of a federation can dispute various categories whilst the amateur riders will take part in the “hobby” category. Whichever category bikers are in one thing is sure – they will all be heroes for the day of 22nd June!! "The Last Kilometer is a film totally dedicated to what is passion, emotion, sport: Cycling. 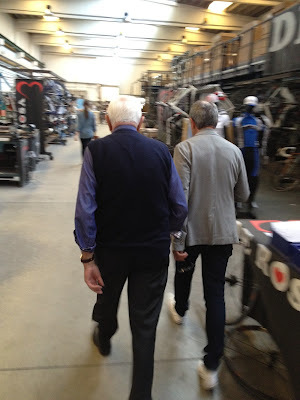 The movie follows the story and an entire cycling season of “the old” Davide Rebellin, 41 years old and still fighting in the peloton after many victories and scandals, and “the young” Ignazio Moser, promising 20 years old son of cycling champion Francesco Moser. Finally, a bit of madness and insane joy is brought into the movie by Didi Senft, better known as “El Diablo”, a living and metaphorical symbol of all cycling fans, with their passion and their enthusiasm. The Last Kilometer is a portrait of cycling." A wild passion for pink is now beating in the hearts of many American cyclists, who partook in the Gran Fondo Giro d’Italia during the weekend in Miami and Coral Gables. On Saturday, November 10th, several stands at the Expo welcomed bike enthusiasts from all over the country with a showcase of the latest products. Miami Mayor Tomas Regalado, a strong advocate of cycling, paid a visit to the various exhibitors. He stated how important it is to promote this sport, not only excellent in supporting people’s health but also to preserve the environment, a subject very dear to bike-friendly Miami. In the evening, at the breathtaking Biltmore Hotel of Coral Gables, the festivities continued with an elegant reception featuring outstanding guests: the campionissimo Mario Cipollini, the event’s testimonial; former professional cyclists Danilo Di Luca and Filippo Pozzato; and Formula 1 former driver Jarno Trulli, a bike enthusiast. Commissioner Ralph Cabrera, on behalf of the administration of Coral Gables, donated the Seal of the City to Super Mario and to Lorenzo De Salvo, who represented the RCS group. De Salvo grabbed the attention of the more than 100 VIPs with the 2013 plans for the Giro d’Italia signature Gran Fondo: Sea Otter Classic (April 20th), New York (May 5th), Pasadena (June 2th), and glamorous Beverly Hills in October, the last “stage” in California before a classic conclusion in Miami on November 10, 2013. “The format Gran Fondo Giro d’Italia represents a very important project to develop the knowledge and appreciation of the Giro d’Italia brand in the world, specifically in the United States. The events will convey the philosophy and the values of Giro to the world. We want to grow slowly and steadily,” said De Salvo. “This was our Year Zero: we are now ready to embrace 2013.” The iconic brand such as Giro was well presented with an emotional video, which captured in a few minutes unforgettable images – the best of the Giro d’Italia, from yesterday and today. On Sunday, clouds of pink balloons bobbed near the starting line, celebrating the event’s start on Miracle Mile. About one thousand riders – lined up since dawn nearby Coral Gables City Hall – were ready to experience the wild excitement of the mass start. Pavarotti’s operatic buongiorno fade away to the rhythm of “We are the Champions,” while the countdown was led by the Consul General of Italy in Miami, Adolfo Barattolo. Next to the original trophy of the giro (“Senza fine”), beautiful Italian model Claudia Romani waved to the riders from the podium along with young Beatrice Fogliata. Opening the courses were three lovely FIAT 500s and a Ducati, part of the several Italian touches to the event. “It was so emotional to start next to so many champions,” said one of the participants. In key position, relaxed but ready to bite, were Cipollini in World Championship gear, Di Luca, Pozzato, Trulli, and American beautiful pro Liz Hatch. The riders concluded the different routes (25, 55 and 101 miles) at the Expo, where a delicious pasta party refilled their carbs and repaid their efforts. CREATE THE NEW OFFICIAL IDENTITY OF A HISTORICAL BICYCLE RACE IN ITALY. This race has a very long history in Italian bicycle racing. Established in1933, the race was known as the “Giro del Lazio” (Tour of Latium), the Italian region that surrounds Rome. The race – a men’s road race of 1.1 category – is included in UCI Europe Tour calendar and next year will be held the first weekend in March; it would be the 74th edition of the race. The race is a one-day race with a distance of 200 km. The starting point is Rome where riders will start by passing the great monuments before riding along the ancient Via Appia (Appia road), one of the most important arterial roads of ancient Italy. 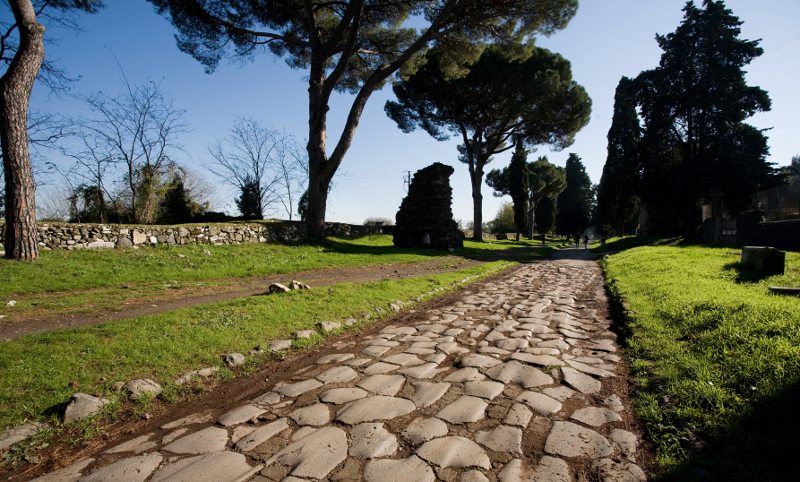 The route passes then passes the hills and the countryside of the Latium region before returning to Rome. 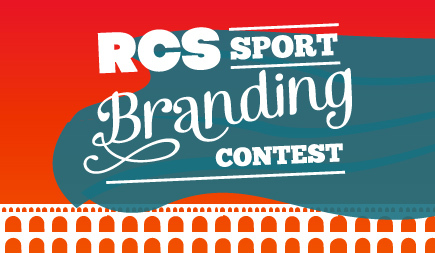 RCS Sport, born under the aegis of Italy's sports newspaper “La Gazzetta dello Sport”, wants you to develop the new identity of this historical bicycle race. Through this contest, RCS Sports wants to collect original proposals to freshen up the image of the race. RCS Sport already organizes major Italian bicycle races (Giro d’Italia, Milano– anremo, Il Lombardia, Tirreno–Adriatico, Strade Bianche) and other important sports events. - Brand name – able to recall its origins but also modern and international. All details for entry here. 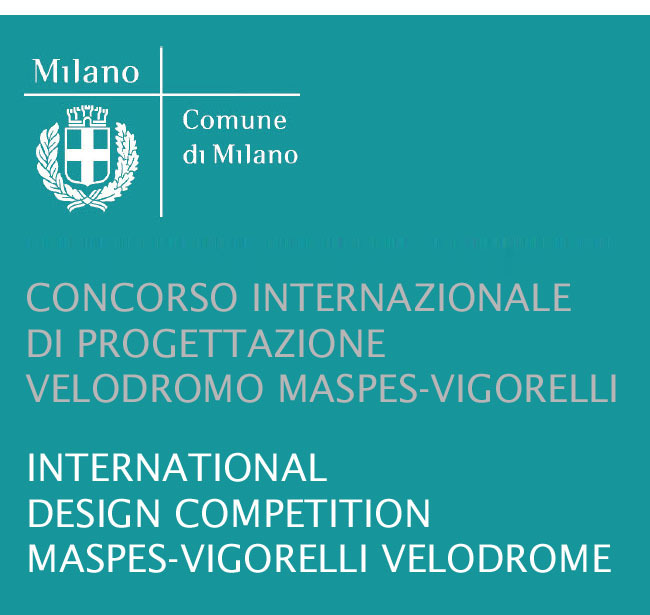 The Municipality of Milan announced an international design competition for the re-qualification of the Maspes-Vigorelli Velodrome. The maximum construction expenditure set for the planned intervention (project funding framework, inclusive of all costs) is € 18.000.000,00 (including VAT). The pre-qualification stage ends no later than 12.00 on Tuesday, December 4th, 2012. A jury will then select ten designers for participation in the Competition stage within 30 days following the deadline for the presentation of applications. The selected particpants wiill then have until no later than 12.00 on Tuesday, March 26, 2013 to submit their designs. The Jury proceedings will be concluded within 30 days of the deadline for submission of documents; the winning entry will be announced within 10 days of the conclusion of the Jury proceedings. "The objective is to renew and at the same time transform the approximately 80-year-old structure into a modern amenity in compliance with the most recent regulations in order to accommodate the greatest number of sports disciplines and functions associated with the territory. In summary, a venue open to the city year-round that can relate in new and diverse ways with the local area and can host educational-game exhibitions, cultural activities, trade area events, etc., in addition to sport." "Participants in the International Design Competition are asked to propose solutions to add value to the sports structure that could include re-use of the historical wooden cycling track. In such case, the planners will consider the criticalities related to its maintenance (upgrading to current standards, cost of restoring wooden surface, necessary protection against atmospheric agents)." "Where the planner proposes to completely remove the historical wooden track, the contender will estimate the possibility of conserving, even partially, a portion of the same (e.g. the parabolic curves) as a memento of the historical importance of the Velodromo." 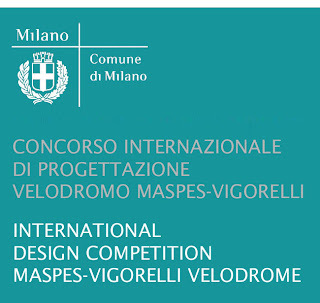 "The history of the Velodromo Maspes-Vigorelli begins with the growth of interest in cycling at the end of the 19th century. In Milan races round the Bastioni (ramparts) led to the first important road races (Milan-Sanremo, Giro di Lombardia and Giro d’Italia). The first tracks were laid out: the first circuit in hardened cinder at the Trotter was followed by another set up in the Arena in wood. At the turn of the century track racing consolidated its success. Velodromo del Sempione was built in Via Giovanni di Procida. It was an outdoor track that quickly became famous for the exploits of numerous cyclists. It was demolished some decades later in 1928 because of its age but also because the Palazzo dello Sport, which had been opened in the nearby Fiera in 1923, accommodated an indoor wooden track which could be assembled for cycling. 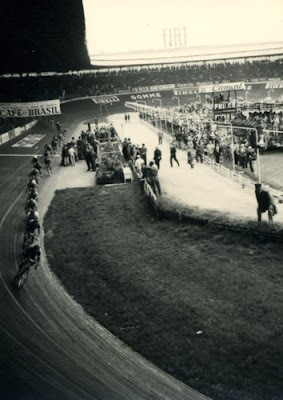 In 1935 the Municipality of Milan, on the suggestion of the industrialist and city council member Giuseppe Vigorelli, a former cycle-track racer, decided to reconstruct the Velodromo as part of a sports center building program: San Siro stadium (1926), the Milan Lido (1931-36), Cozzi (1933) and Romano (1937) swimming pools. The Vigorelli became the most important and famous venue for track cycling in Italy. The high-speed configuration of its track made it known internationally: world records were set and championships held there. Moreover, it was often the “Finish” for important road races and also hosted numerous sprint and pursuit contests. Unfortunately, in addition to the track being completely destroyed by fire during the Second World War, an exceptionally heavy snowfall in 1985 led to the roof collapsing onto the wooden track, damaging it severely. The decline of the velodrome set in after this episode: the track was reconstructed but not the roof. After three years of reduced activity, the Velodrome - also used as a venue for concerts - was closed definitively for cycling. In July 1991, the roof was reconstructed and a new lighting system was installed. Finally, towards the end of the Nineties, due to company sponsorship of a cycling team, the track was completely restored and the central area of the Velodrome was surfaced with synthetic grass to allow American Football, Five-a-side, and Field Hockey to be played." "In 2007 a new, covered, Vigorelli as part of a sports palace concept was proposed to the mayor of Milano. The proposal would re-launch track racing but will also have the capability of hosting other sports such as basketball, tennis, boxing, hockey, and concerts. At a cost of 50 million Euro, and an estimated 3 years to build, the proposal went nowhere." "In 2009 the specific project plans were unveiled and the next step in the project was to seek financing. The city was committed to funding 12 million Euro of the estimated 50 million Euro project cost; the other 38 million Euro would have come from the private sector. The goal was to inaugurate the new facility in 2012." You can use the custom search feature in the upper right for "Velodromo Vigorelli" to find all the related stories, and a few about Masi, in the blog. Selle San Marco is touched by the tragedy that hit people of Red Hook, a post-industrial area of Brooklyn devasted by superstorm Hurricane Sandy. Our company feels particularly close to them because of the relationship with the organizers of the “Red Hook Criterium”, that have their headquarters inside the destroyed areas. In order to help them, San Marco has launched a charity activity to raise funds for the rebuild of the neighborhood of the New York district. 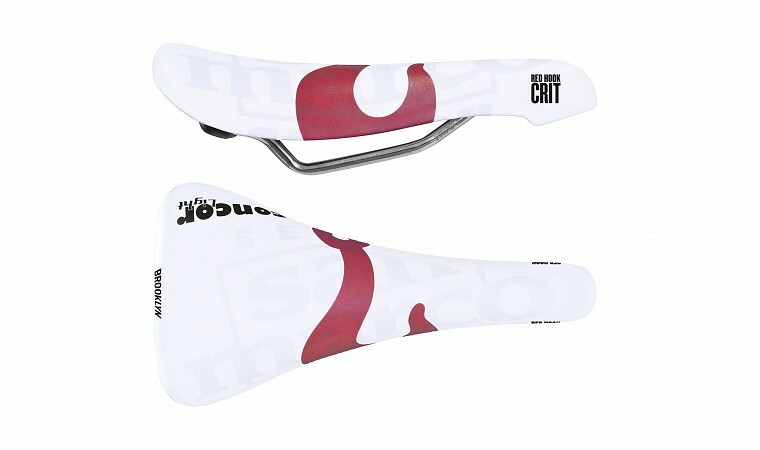 The whole money raised from the on-line sale of the special Concor Light RHC saddle, will be donated to Red Hook Initiative and Restore Red Hook relief efforts (www.rhicenter.org and www.restoreredhook.org), that are involved in various humanitarian activities to help people that have been most affected by the devastation and to help the small businesses reopen their doors as soon as possible. "bicifi" is the name of the Florence Bike Festival to be held March 1 to March 3, 2013. As part of the festival the first gran fondo in Florence will be held March 2nd on some of the same roads that will be used later in the year for the road world championships. The start will be from Fortezza da Basso, then passing through the historic center of Florence, and then into the hills of Chianti to Radda before the route turns back towards Florence. Think differently than most about cycling wear? 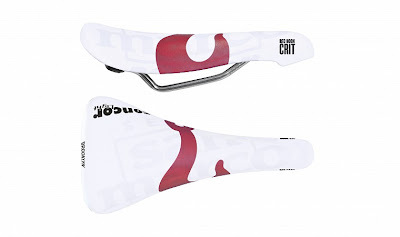 Check out Biciclista from Vescovato (CR) and where all the products are made. 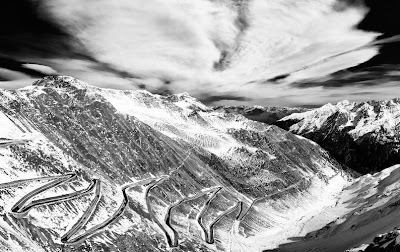 Follow in the tire tracks of the legendary Giro d'Italia mountain stages during a week of the most famous and most challenging climbs in Italy: Stelvio.... Gavia.... Mortirolo.... Pordoi.... Fedaia.... Sella.... Duran.... Giau.... Valparola....and more. The tour is organized by Thomson Bike Tours. How Fast Can Mario Cipollini Descend? Remember the Cipollini "Bond: Open Your Eyes" video? Here is behind the scenes look of the recording of the descent in Lucca. It comes with this warning: DO NOT IMITATE! Cipollini Bond - Behind the scene 1 from Mcipollini on Vimeo. Speaking of Mario, he's in Miami for the Gran Fondo Giro d'Italia. Today was the official presentation at the Miami City Hall. And, speaking of the Expo: Sarto Cycles, the "Handmade in Veneto Italy" framebuilder, will be at the Expo with a few bikes, including the Cima Coppi and Brezza, and perhaps a few frames. The 2012 Cyclingnews reader poll is here and entries have to be submitted by November 23rd. Was the Giro d'Italia the best stage race? Was Milan-Sanremo the best one day race? 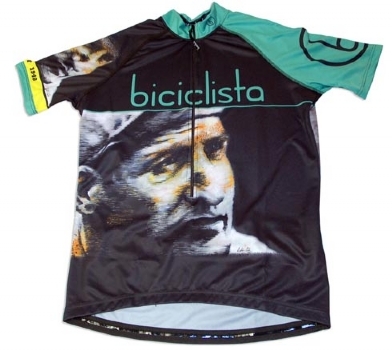 Is Fiorenzo Magni the "legend of cycling"? Participants in the survey have a chance to win a a Specialized S-Works Tarmac SL4 OSBB frameset, courtesy of the Omega Pharma-Quickstep team. The frameset will be provided in the contest winner's size and as an added bonus it will be autographed by the Omega Pharma-Quickstep team. ‘la magia della Maglia Rosa’ is a visual tribute to the wonderful Giro d'Italia , using the iconic periodic table as the framework. The print is available from On A Sixpence. The new print includes Ryder Hesjedal, the winner of the 2012 Giro d'Italia. Information is included on each year’s winning rider. The race was first staged in 1909 with the aim boosting the sales of La Gazzetta dello Sport. Each image is a high quality giclée print, on a luxurious heavy weight Hahnemühle fine art paper. The print size of the image is available in two sizes; 30*40cm or 40*50cm. A Limited Edition of 80 standard prints will be made of ‘la magia della Maglia Rosa’. Each print is signed and dated by the artist. Prints can be personalised to include an additional cell as a super fan. Please email On A Sixpence before you order to confirm the initials, surname and a year that you wish to include in your cell. Otherwise the lovely standard print will be sent for your pleasure. Prints will be sent in a strong postal tube. Price: £60.00. More details at On A Sixpence.